One unit left! Email for open house details. This clean well maintained townhouse is located in a small quiet family run complex on a pleasant residential tree-lined street. It must be viewed to be appreciated as photos are difficult to appreciate the layout. Great neighbours and parks in all directions. ***Our kitchens have recent renovations to lighting, flooring, cabinets, counters, fixtures and appliances. ***Upstairs features three good size bedrooms and a large bathroom. ***The main living levels consist of a two-piece powder room, kitchen with breakfast eating area, dining and living room. ***Each unit has it's own individual laundry room with washer and dryer. ***There is a double carport and a lockable outside storage area. **Our roofs are all recently replaced. **Heating is electric baseboard with a thermostat in each room to permit greater control over heating costs. 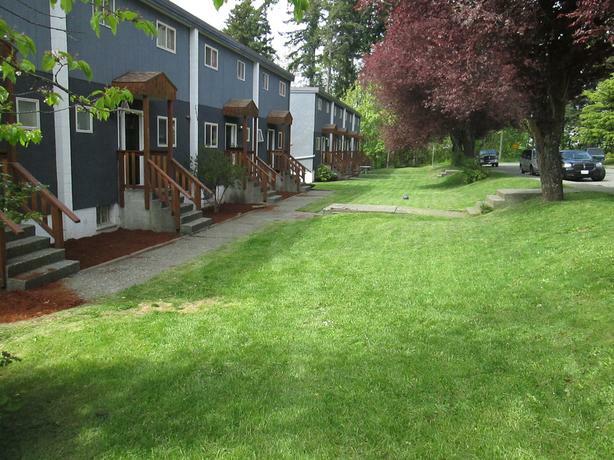 **All townhouses are delivered clean with new paint. We welcome tenants seeking quiet well run accommodation. Please email your details and information and a phone number above all so we can connect!